AALIYAH & Beyonce. . Wallpaper and background images in the Aaliyah club tagged: aaliyah babygirl aaliyah haughton queen of r&b. /.\aliyah, always with such a beautiful smile...Miss U..
nna go down in history...everyone loved her..fans..singers..she was one in a million. 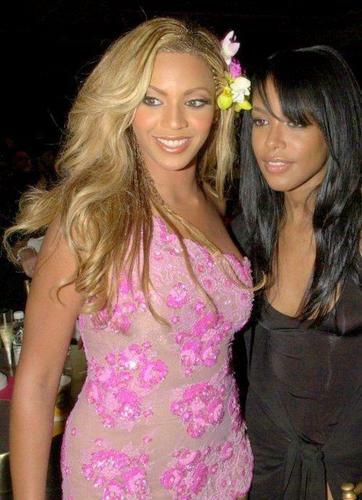 I understand why God would want Aaliyah close to him because she was an angel on Earth!! R.I.P. Baby Girl!! !